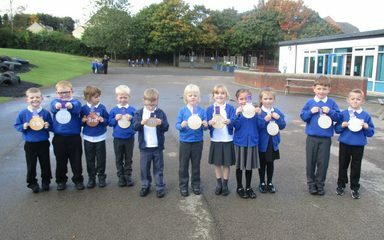 Maths was taken outside to find positional numbers. 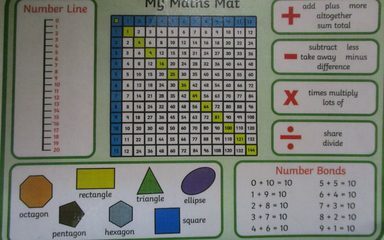 Children ran races and ordered their positions. Ready, set go! 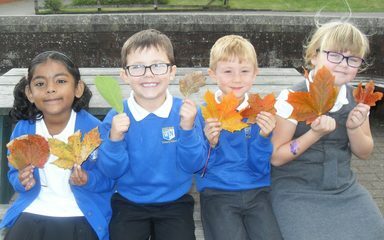 Owls went for a walk around the school collecting different autumn leaves. 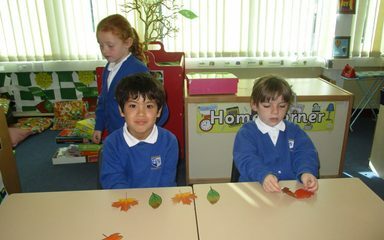 They then used their leaves to estimate, measure and to find the area of their leaf. They had great fun! 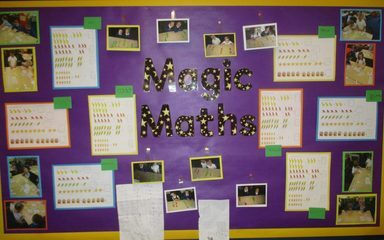 In Numeracy this week Bluebells have been ordering and comparing numbers to 1000. 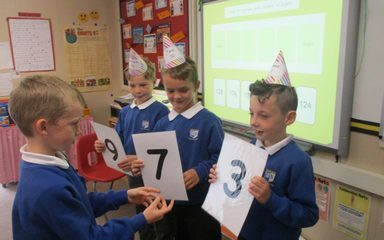 We loved using our party hats and digit cards to help us understand the value of the numbers.